The Rise and Fall of Manufacturing Industry in Jersey in the 20th Century. For decades, Jersey politicians have spoken of the need for a diversified economy. Whenever politicians or senior civil servants talk of economic diversification, they talk of the Island’s flexibility and entrepreneurship and usually cite the knitting of stockings, the promotion of the Jersey Royal potato and suchlike. From the 1960’s there was a view that Jersey had a three-pronged economy: agriculture, tourism and finance. The accepted wisdom now is that two of the prongs have become decidedly shaky and fragile, and that the rapid growth of finance and its impact on the broader economy has been such that the other two prongs, agriculture and tourism, have become weakened, perhaps fatally. It must be remembered that the loss of such enterprises not only leads to obvious results like a decline in GDP but also affects transport links and reduces the number of skilled staff, particularly those without transferable skills. Although not promoted heavily, there was a fourth prong: manufacturing. On the face of it, the sector was a collection of disparate bodies — some small, some large; some locally owned, some part of multinationals; some sophisticated, some simple in their manufacturing processes. Most have now vanished, even those like brewing and soft drinks, which were not seen as manufacturing industries in the classic sense. Why have they disappeared and why, despite their different origins and very different manufacturing methods and products, did they all disappear in the same short time frame, the 1980’s and early 90’s ? Unfortunately, data concerning the companies is very thin. Jersey had no equivalent of Companies House, few published annual reports and only in the 80’s did the States, through the Office of the Economic Adviser, start collecting basic data on the sector. An anecdotal history would be possible for the bigger companies as some former employees still reside on the Island. However, reminiscences of former employees do not always give clues as to the broader economic trends or factors that were at work. The biggest and last to close was probably ‘the tea company’ — the Overseas Trading Corporation (OTC) of First Tower. It closed in the early 90’s. It had been preceded by two of the other large employers, Rediffusion and RCA in the 80’s. The States did not have a Committee dedicated to the manufacturing sector and it fell to the Economic Adviser, Colin Powell, to monitor its health and to push for facilities like an industrial estate. His Reports speak of ‘light industry’ and I have taken that term to be almost interchangeable with Manufacturing Industry. Prior to the arrival of finance, the Island experienced economic ups and downs and was pioneering not only by knitting stockings but through major initiatives like the establishment of the cod trade based in Canada. The period after the Second World War saw a flowering of manufacturing industry and a continuation of previously established industries like Summerland, a knitwear company which had philanthropic origins and provided much needed work during the Occupation. 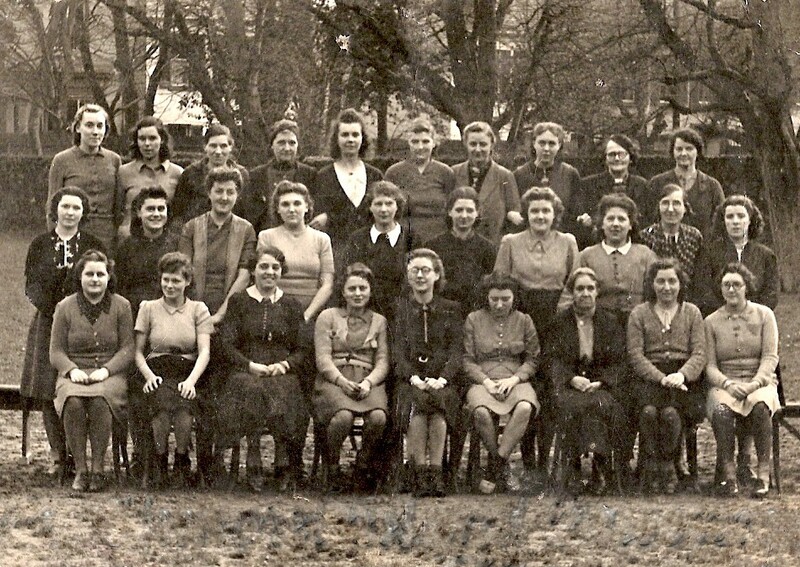 Summerland staff in the 1940's. The Overseas Trading Corporation, which had been established as far back as 1876, was a large employer. Summerland played a big role as an employer with a strong social conscience, having been founded in 1905 to provide work for orphans. Other companies, like Spax (shock absorbers) and Kentredder (machinery for retreading tyres), were established by individuals who came to Jersey and wanted to make a mark. There were also very large corporations who came here — organisations like RCA and Rediffusion, which both manufactured and provided a cable based radio and tv service for the local community. It might be argued that manufacturing grew ‘like Topsy.’ However, there were two major interventions by the States., The first attempt at an islandwide plan, the ‘Barrett Plan’, dealt with industry in its 1961 Report. Much play was made of the need for storage facilities and of the need to move industry out of town. 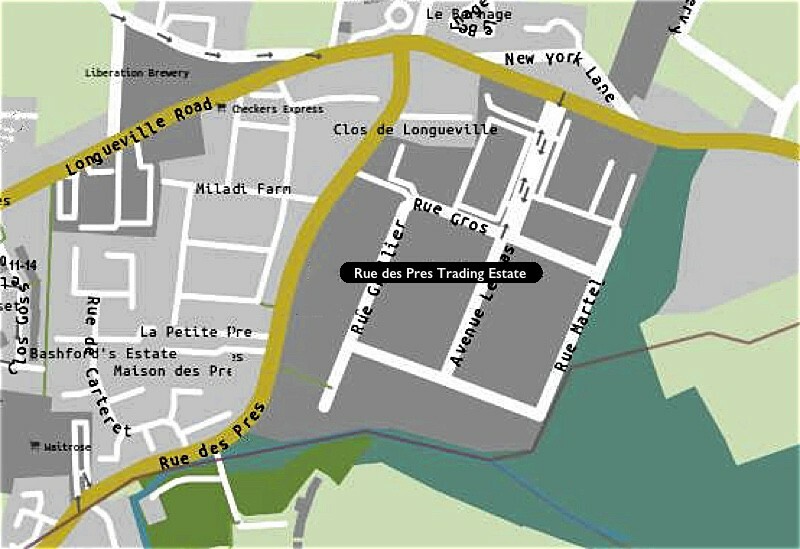 It was this report which led to the establishment of the Rue des Pres Trading Estate. Although organisations like RCA were placed at Rue des Pres, it never was exclusively a manufacturing centre. However, it became full very quickly and it is arguable that had it been expanded or similar sites found, more industry might have settled in Jersey. 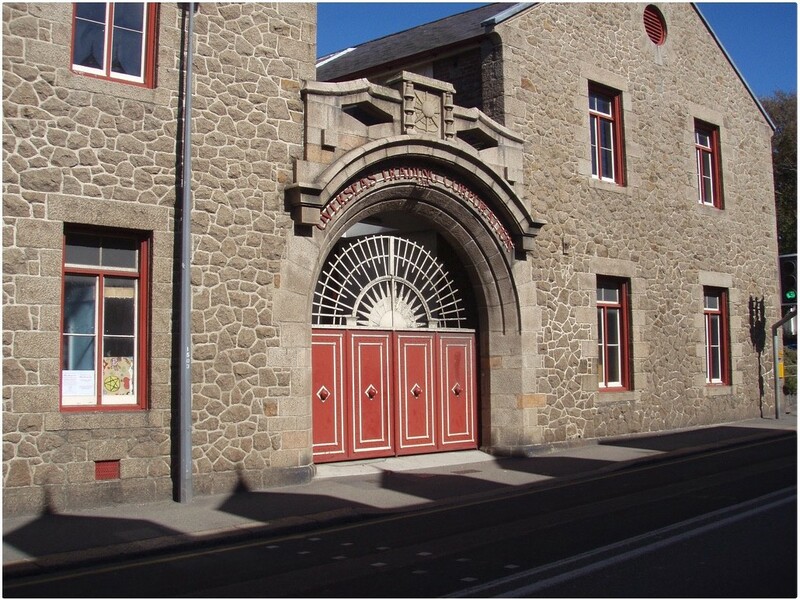 Although there were other settled sites, like OTC at First Tower, Aviation Jersey at La Haule and Rediffusion at La Pouquelaye, once the industries closed they did not usually continue as industrial sites and were thus unavailable for incoming industries. By the time of these closures, land was becoming monopolised by one use — housing. That said, the Rediffusion site was to accommodate Channel Television for many years, surrounded by the inevitable new housing estates, until its move to Castle Quay. With prescience, Barrett noted what was to become a crucial policy issue but one to which the States had no strong answer and, it seems, no political will to progress. The next major mention of industry was made in the island’s first Economic Survey, written in 1971 by the newly arrived Economic Adviser, Colin Powell. Mr Powell saw a role for light industry in Jersey. At this point, the crowding out effect of Finance was not so pronounced and the Report was written in a way which saw light industry as an integral part of the economy. However, issues were appearing which were ultimately to seal its fate. These included matters like the need for dedicated sites, flexibility in recruiting staff from overseas and the need for cheap transport. The next Economic Survey which I found was written in 1990. By then, Finance had become dominant and there had been major closures of industrial companies.The Economic Adviser valiantly pursued the cause of light industry despite no apparent interest at a political level. Although at the centre of government, Mr. Powell had, in the way of small states, numerous tasks to perform. Ultimately, leadership was required from government, or at least a strong public/private relationship so that each side could work with the other to pursue growth policies. Before we look at the final phase of this history, it is worth looking at some major players to see what themes can be discerned and what conclusions drawn. An RCA Victor tape machine of the period. RCA established itself in Jersey circa 1966. It was a subsidiary of a very large American owned multinational corporation. It started with the task of reprocessing fragile headwheels on tv tape recorders, using only a modest workforce of 18. It developed into a fully fledged manufacturing operation, training and employing many skilled staff. Essentially, Jersey was a duty-free customs zone, similar to an entrepot facility, which gave RCA access to European markets. Ultimately in the 80’s, the advantages of operating from Jersey were outweighed by the disadvantages, particularly the difficulties in obtaining skilled labour and the cost of transport. In one form or another this was the point at which the enterprises looked at Jersey and made the decision to leave or stay. It was, in this case, an ‘easy’ decision to close down the Jersey operation and shift production to another facility. The Overseas Trading Corporation was essentially the export arm of the tea interests of Allied Lyons. It opened in 1867 and like so many other businesses was here because of lower excise duties. Although it had been here much longer than RCA, it was also to suffer because it was part of a large multinational organisation. Its factory at First Tower employed 160 people and it had developed strong links with markets like those in parts of South America. By many measures, it was a successful part of Allied Lyons. Why, then, did it close in the early 90’s? The Lyons–Tetley main factory in Greenford, Middlesex was under utilised. Predictably, Jersey was seen as insignificant in the bigger scheme of things. Its methods were seen as old fashioned, with batch as opposed to mass production. At some point, the question was going to arise of the case for future investment. The factory situation simply brought the question forward. It was also noted that the property on which the factory stood was immensely valuable. Readers will be only too aware of how high property values have skewed thinking in other industries like Tourism and Agriculture. OTC’s demise was greeted with sadness, as it had gained a reputation as a benevolent employer with innovations like Jersey’s first pension scheme and the provision of sporting activities through the dedicated Sun Club at First Tower. Its closure was hugely symbolic in that it was the last of the major manufacturing industries to close and one of those that had lasted longest. At its peak it had employed 160 people in the factory. However, even it could not escape the almost inexorable forces that were at work. 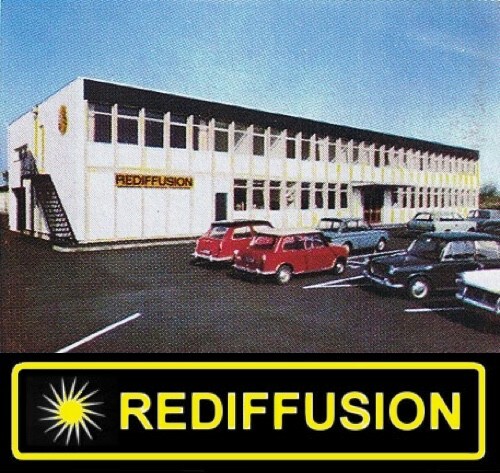 Although long established and with an ‘on the ground’ presence through its cable services, Rediffusion was to meet a similar fate, in part induced by a takeover — although the former owners, BET, had already wished to move out of manufacturing. 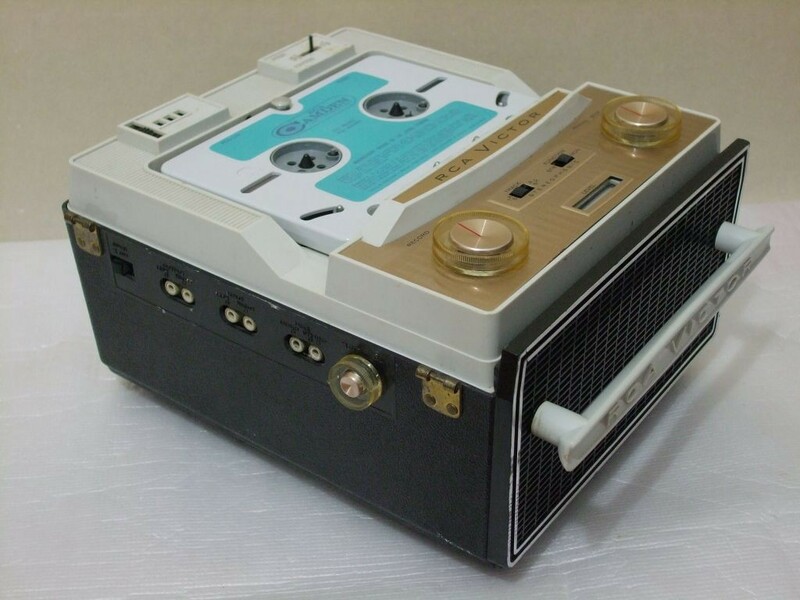 Rediffusion had an interesting presence because, apart from the local cable service, it researched and manufactured sound systems for public spaces. In other words, it had developed a niche activity and, like OTC, seems to been left alone without too much prying from Corporate HQ. It should also be added that its large site on the outskirts of town was gradually redeveloped, latterly by the last major occupant of the site, Channel Television. Again, property value, in part, was to trump the costs of manufacturing on Jersey, and a very valuable and diversified source of local employment was again lost with the closure occurring in 1985. Historically, the promoters of Jersey’s entrepreneurial and innovation skills have always cited the knitting of stockings and of the Jersey as a classic example of the local ability to prosper and innovate. This cottage industry was, in a way, continued by the presence of knitwear companies, until all the factors cited previously heavily impacted upon them. I have mentioned Summerland’s close links to the Island. Despite the advantages of being local and making its decisions locally, by 1990 it had announced that a significant amount of its knitwear manufacturing was to leave the Island and move to the UK. It cited the difficulties of organising certain processes in Jersey and the problems associated with trying to import (technical) staff. Another local company which specialised in fabrics was Exquisite Knitwear, a wholly owned subsidiary of the massive Courtaulds Group. It invested heavily from the sixties in its St Peter’s site and, like so many other enterprises, it was very much an exporting business. Although details are hard to come by, it is reasonable to surmise that its closure was for similar reasons to those cited by other enterprises. Since staffing at the senior management and specialist level was an ongoing issue for these companies, there was a realisation that locally based staff need to be trained up to replace imported staff or to prepare the way for expansion. It should be noted that these companies also contributed to the economy by keeping viable transport links open, given that many of them, as well as their smaller Jersey owned enterprises, were exporters. It is sad to reflect that there is now only one industry exporting from Jersey — the potato industry. The factors which led to the closure of big employers like OTC and RCA inevitably impacted on smaller operators like Kentredder. They started to retrench or to close. Although commentators like myself lay the blame at the feet of Finance, there had been actions by the States, or more accurately inactions, which contributed greatly to this situation. After Rue des Pres, there was no increase of sites allocated to industrial growth, no future estates — unless we take cases like St Peter’s Technical Park, which was in large part the former site of the Exquisite Knitwear factory. Transport costs kept rising and it became more difficult to compensate for other factors such as high rentals. However, it appears that staffing was the overriding issue — both the difficulty of finding staff and the cost of housing them. All these and other issues were raised in the 1990 Economic Survey issued by the Economic Adviser. He focussed very much on labour issues — the cost of labour, the availability of more secure opportunities, the lack of a skills base and the high cost of housing imported labour. Of course, much of this was a direct consequence of the rapid growth of a very high paying and, for many, more congenial industry in the form of finance. There were also external factors at play, according to the Economic Adviser. The market in Western Europe was a difficult trading climate: there were greater inducements from other jurisdictions, such as lower effective rates of tax on profits. Despite the gloom and doom surrounding the future of manufacturing, according to the 1989 census six hundred people, or 5.5 % of the labour force, were engaged in manufacturing for export. Even this figure was potentially misleading to those seeking an optimistic interpretation. According to the Economic Adviser, two companies accounted for 75% of the export value and of the staff employed. Manufacturing thrives when there is a concentration of skills and suppliers, in that there is a pool of skilled labour and good supply chains. While Jersey did not precisely replicate England in this regard, it is possible to argue that with each closure the sector became weakened as the staff pool became smaller and transport links contracted. Clearly, each closure undermined the sector, except in so far as it released personnel into what was a tight labour market, even though much of that labour was to move to Finance and the service sector. Overall, light industry accounted for 2,600–5.5% of the island’s total work force; of these, 75% had residential qualifications. Of the 2,600, 600 were in manufacture for export. The Report tried to be optimistic by citing the support given by the States to attend Trade Fairs; and in correspondence with a small business owner, the Economic Adviser advised that the Zero Job Growth policy was not an impediment, as licenses could still be issued, because of the overall decline in numbers employed by the sector. Some cold comfort was derived from the fact that Guernsey’s light industry was also declining. The picture in the Isle of Man was more positive and, indeed, to this day it maintains a significant light industry sector. Although evidence is thin, it is likely that this happened because neither their finance nor tourism industries were as dominant, and there was not, as in Jersey, the ‘cuckoo in the nest’ phenomenon. There was not the same population pressure. Another contributory factor may have been the inclusion of the Isle of Man in the VAT area. Significantly, other than the indefatigable role of the Economic Adviser in liaising with light industry and dealing with them on a daily basis and collecting basic data, there was no formal engagement with Government. No evidence exists in the 90’s of attempts to stanch the closures or to bring in substitute industries — perhaps industries which required less manpower. Eventually, in the 2000’s, a Trade and Industry Sub-Committee was set up after a study led by Deputy Dubras. By then, the challenges were different, although the need for diversified industries was being felt more keenly. It seems that once the die was cast and finance became the dominant industry, the balance between low tax or favourable excise duties and increasingly higher manufacturing costs could not be sustained. There was not enough on the plus side to convince companies to stay on the Island. Neither were they helped by the parallel and precipitous decline of manufacturing in mainland Britain. Industry could not meet costs for technical and senior staff that were essentially set by the much more well off finance industry. While Agriculture and Tourism survived, it was not without difficulties and was partly because of their legacy status. This allowed them to recruit staff despite a tightening population policy. Furthermore, in the case of agriculture, it is no accident that most of the potato industry is in the hands of two UK companies who have brought economies of scale to bear. The dairy industry has moved to very large herds and is protected by its position as the monopoly supplier of milk. It is probable that, even had industry been given more flexibility in recruiting labour, industries based on mass employment could not survive, because of the cost of factors of production like staff, transport and distance from main markets. Ironically, there was a brief flourishing of an industry that was in part comparable to manufacturing, namely the fulfilment industry. This was killed off by a less generous UK policy regulating the reimport of VAT-free goods below a certain threshold. It provided flexible and unskilled work. Again, it employed high numbers and the inevitable question arose of whether it was sustainable. Barring some seismic shift in economic thinking, we must see the brief flowering of manufacturing industry as just that. Undoubtedly, the policy of giving pre-eminence to finance had major implications and accelerated the demise of manufacturing industry. When I started out, my hope was that there would be comprehensive information on the enterprises operating in Jersey, especially those which were part of much larger organisations. This was not the case. As nearly all the Jersey owned industries were privately owned, little public information exists on their finances and employment figures over long periods of time. While I expected basic information on economic trends in the Island, I was less optimistic as data collection was in its infancy and much depended on the Economic Adviser who valiantly carried out numerous tasks as the one civil servant tasked with policy leadership. I was fortunate to interview Mr. Powell but found only two relevant set of basic statistics, those in his Economic Surveys of 1771 and 1990. There was interesting data, which has to be non-attributable, in the annual correspondence he carried out with enterprises during the 80’s and early 90’s. There were feature articles in the JEP and magazines like Jersey Topic on the major enterprises. 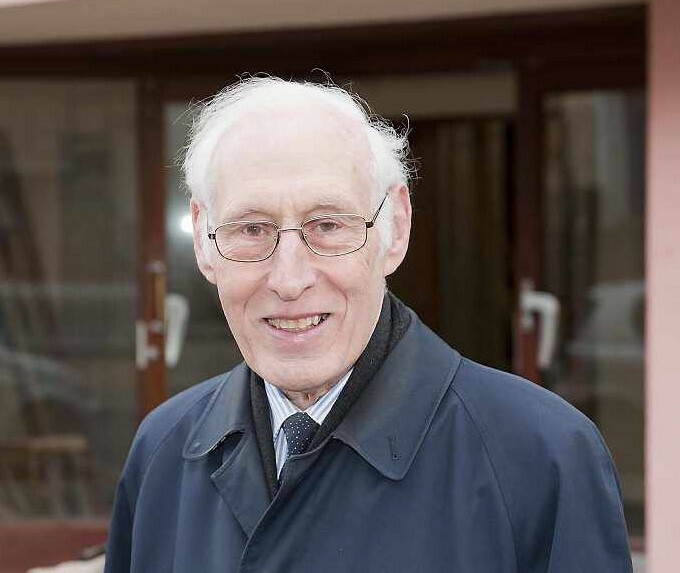 I also had interviews with key players in the heyday of manufacturing like John King, the last Managing Director of OTC and Ray Shead who was instrumental in helping set up Kentredder and became involved, through his transport expertise, with RCA. While regular, time series statistics, and comprehensive company reports, would have fleshed out this study and made it more robust, I doubt whether they would have changed the conclusions. As finance started to dominate the economy, and the implications of its presence for population, available space and costs became apparent, it would have needed purposive and expensive government intervention to allow manufacturing to stay and to thrive. Clearly, that did not happen. JEP, archived in Jersey Public Library especially material on OTC, Rediffusion, Exquisite Knit wear, Sumerland. Jersey Archives, especially material on OTC, Rediffusion, Sumerland. Classified correspondence covering work of Economic Adviser in 1980’s and early 19990’s. Economic Surveys, 1971 and 1990.